The US Census Bureau’s website is a labyrinth of useful data and is unnecessarily difficult to navigate. Fortunately for us, NYTimes decided to help us out by visualizing the mystery information from the American Community Survey. They’ve translated data into easily comprehensible maps and diagrams like many of their past data representations. 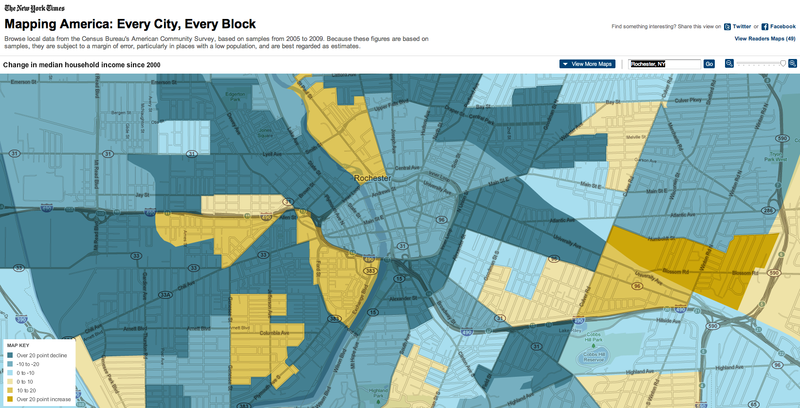 Take a look here and have fun exploring: http://projects.nytimes.com/census/2010/explorer.